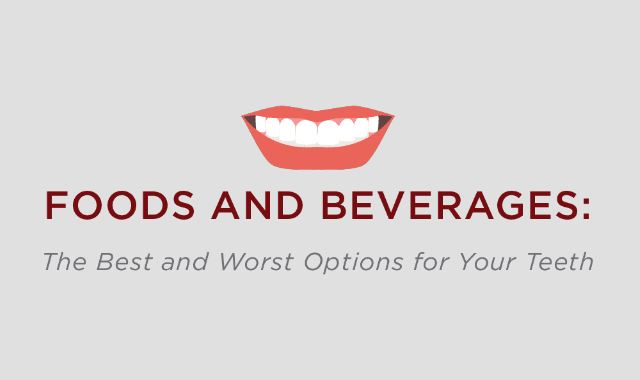 Foods And Beverages: The Best And Worst Options For Your Teeth #Infographic ~ Visualistan '+g+"
Everyone wants to have a beautiful smile full of healthy, white teeth. In addition making routine visits to your dentist, you should practice good at-home oral care. Brush your teeth twice per day and floss every day for a cleaner, healthier mouth. Don’t forget to pay attention to what you eat and drink, as what you consume can have a significant impact on your oral health. Check out this infographic to learn about what foods to eat and what to avoid for your dental health.